Endless casinos are undoubtedly the first thing that comes to mind when you hear someone say “Las Vegas.” The desert town has certainly grown into a mecca of adult entertainment that is centered around gambling. However, Las Vegas also offers plenty of fun things to do that do not involve losing stacks of chips in just minutes. Many activities are family-friendly, making it a great spot to vacation with the kids as well. The Hoover Dam is one of the most-visited tourist attractions in Las Vegas. To really catch an impressive view, though, you want to sign up for a raft ride down the Black Canyon of the Colorado River. This is not the extreme white-water rafting you may be picturing, but more of a leisurely trip down a calm river, the flow of which is controlled by the dam. This makes it great for children as well as adults. Your trip will start at the foot of the dam, giving you a stunning view that most visitors miss. Then, you will meander down a 12-mile stretch of the river to the landing at Willow Beach. You can go for a swim along the way and explore some of the natural hot springs while catching glimpses of native wildlife. Lunch is included in the price: $88 per person and $54 for children under 12. 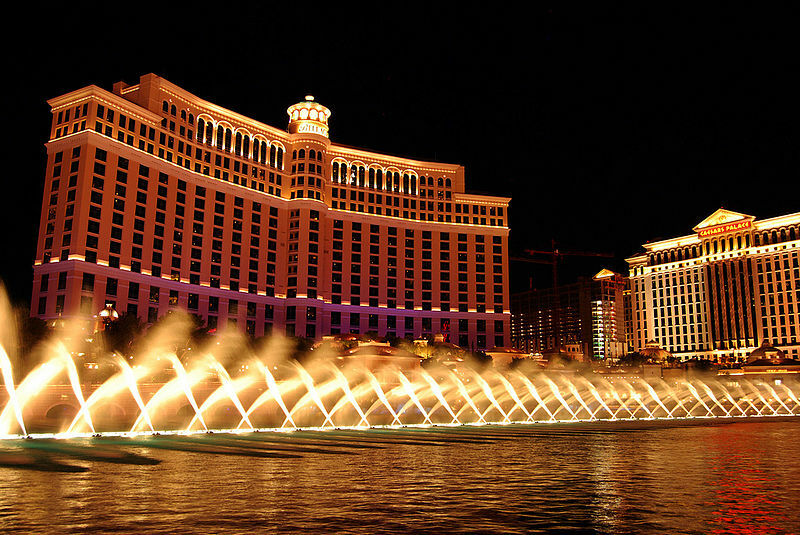 Vegas is also known for great shopping and offers visitors many shopping options. Each shopping area is unique and gives you much to look at while you’re there. You can hop on a gondola along the recreated canals of Venice. Or step into another world when you visit an exotic bazaar. Check out the Miracle Mile with its indoor thunderstorm, rain and all. Watch a laser show and stop to watch a fashion show. Las Vegas hotels offer more than just a place to sleep and gamble. Many also offer amazing exhibits that you will love to explore. The Luxor Hotel has a Titanic artifact exhibit, complete with a piece of the ship’s hull and personal belongings of crew and passengers. The Bodies exhibit is also featured at the Luxor, giving you a chance to see the human body as you’ve never seen it before. It is a memorable experience and one that shouldn’t be missed. Exhibit tickets are $32 for adults and $24 for children 4-12. Every day, you have a chance to see one of many different shows. There are magicians, comedians, singers and dancers all putting on performances for your enjoyment. The prices vary so search around for a deal that fits your budget. Dancing water might not sound exciting, but watching the fountains at the Bellagio move as choreographed to music will definitely capture your attention. The fountains “dance” from 3pm-8pm, every 30 minutes, and from 8pm- midnight every 15 minutes. This landmark is the tallest free-standing observation tower in the country. The view is breathtaking, but if that is not enough, you can kick things up a notch by getting on the world’s highest roller coaster. For the real thrill-seekers, you can also try out the Big Shot, which is a reverse bungee that shoots you into the air at 45 mph, up 160 feet. You can also experience 3 Gs on Insanity, which holds you out 64 feet from the side of the tower and spins. If you’ve ever wanted to experience the feeling of jumping out of an airplane, but without having to actually jump out of one, you will enjoy the experience offered at Vegas Indoor Skydiving. You can do a simulated free-fall with the help of a Vertical Wind Tunnel. Your first flight is $85. Freemont Street is great free entertainment that the whole family will enjoy. It is a pedestrian walkway with light shows each hour, live entertainment and plenty of tourist stops like souvenir stands and restaurants. Some of the Las Vegas hotels, including the Mirage and Mandalay Bay, have attractions featuring underwater creatures. At Mandalay Bay, you can visit the Shark Reef Aquarium to see sharks, fish and even a golden alligator. The Dolphin Habitat at the Mirage lets you get up close to the playful animals when you sign up for the “Trainer for a Day” experience. 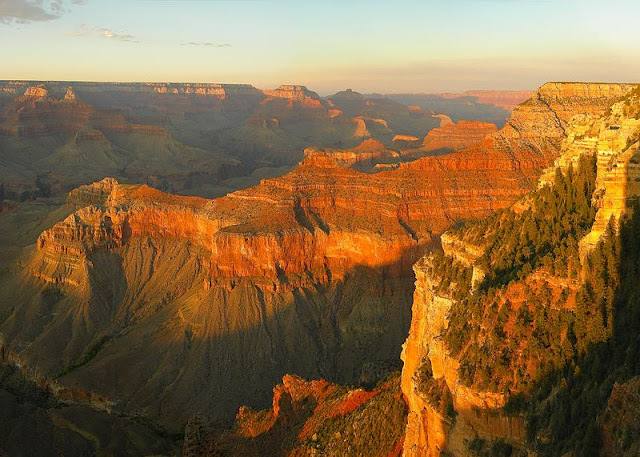 Being so close to the Grand Canyon, there are several helicopter companies ready to take you up and over the city to see the sights from a unique perspective. It will be a breathtaking and unforgettable experience, it may cost you a fair amount of money, but it will be worth it!